[PDF] Storey's Guide to Raising Miniature Livestock | Free eBooks Download - EBOOKEE! Description: Whether you are raising miniature livestock for meat, milk, or fiber, or keeping them as show animals or pets, you need essential, expert instruction and advice. 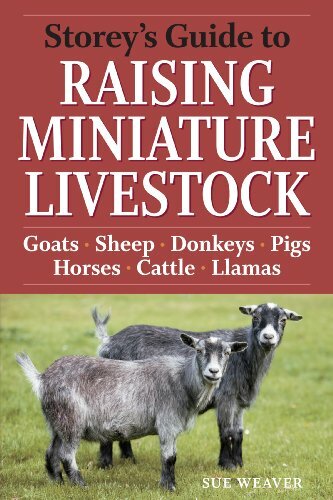 Storeys Guide to Raising Miniature Livestock, by Sue Weaver, is the go-to-guide that takes the mystery out of minis. Breeding, feeding, housing, nutrition, and exercise, as well as disease prevention and treatment this comprehensive guide has everything that new and experienced farmers need to keep minis healthy and productive. No comments for "[PDF] Storey's Guide to Raising Miniature Livestock".